Perform live on our Sky Living HD Sing Date set. If you’ve pouted and posed for our paparazzi, you can download your photos and relive the night right here. If you're seeing a show at The O2, there's no better way to start your night - head to Sky Backstage, our bar behind the main stage that's free for all Sky customers and their guests. Walk the red carpet, pout and pose for our paparazzi, perform in our Soundcheck karaoke studio and grab a drink and a bite to eat. The booking for Sky Backstage has now moved and all passes need to be booked via the My Sky app. To book your pass, you’ll need to join our new loyalty programme, Sky VIP. It’s free to join and you’ll get a range of exclusive rewards on top of access to Sky Backstage. From money-can’t-buy experiences to free tickets to some of the biggest sporting events across the country. It’s our way of saying thank you for being a Sky customer. 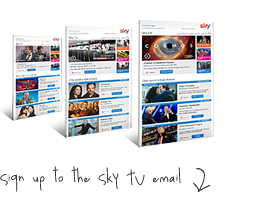 The home of Sky VIP is in the My Sky app, which is easy to download on a smart phone or iPad. Just go to your app store and search for My Sky and you’ll be up and running in no time. Log in with your Sky ID and you’ll see the Sky VIP button to join – then start exploring your rewards. We hope you enjoy Sky VIP! You and your friends are the star of the show at Soundcheck. Grab the microphone, choose your song and sing-along or a sing-off. We'll record and rate your performance so you can share it with your fans. If you've posed for our paparazzi or starred in a video at Sky Backstage , you can download your moment in the spotlight to share online with friends and family.